I came across this recipe in my March 2012 issue of Cooking Light magazine. Since it’s Lent, I’ve been looking for a few new meatless meals to add to my arsenal. I can only eat so much seafood during this time of year (sad, isn’t it?). I made this tonight and made a few slight adjustments, based on what I had in the house today. 1. Melt butter in a large skillet over medium-high heat; add shallots, thyme, garlic, and mushrooms. Season with salt & pepper. Cook until the mushrooms are tender and liquid almost evaporates, stirring frequently. (You may think, what liquid?! After about 5 minutes, the mushrooms begin to release water.) Add vinegar; cook until liquid has almost completely evaporated. 2. 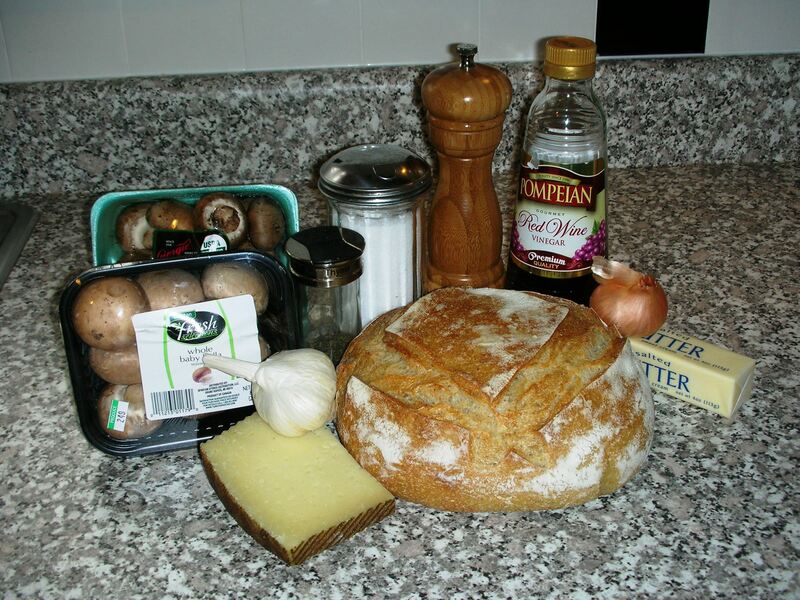 On four slices of bread, place some pieces of cheese, followed by the mushroom mixture and a few more pieces of cheese (try to make all 4 pieces as even as possible). Top with remaining bread slices. 4. When sandwiches are done, rub the top and bottom of each with the garlic clove. After dinner this evening, Mike asked me if I would save this recipe, to make again. While my husband does enjoy most of the dinners I prepare, it’s not very often that he asks me to save one. This dish was very easy to prepare – an added bonus for if it had been a long day for the both of us. I also liked how much flavor the mushrooms had. The bread was nice and crisp, without being too greasy; we bought the bread from a local baker and sliced it on our own, to keep the loaf as fresh as possible. The garlic oil (from rubbing the clove on the warm bread) was a nice touch as well. 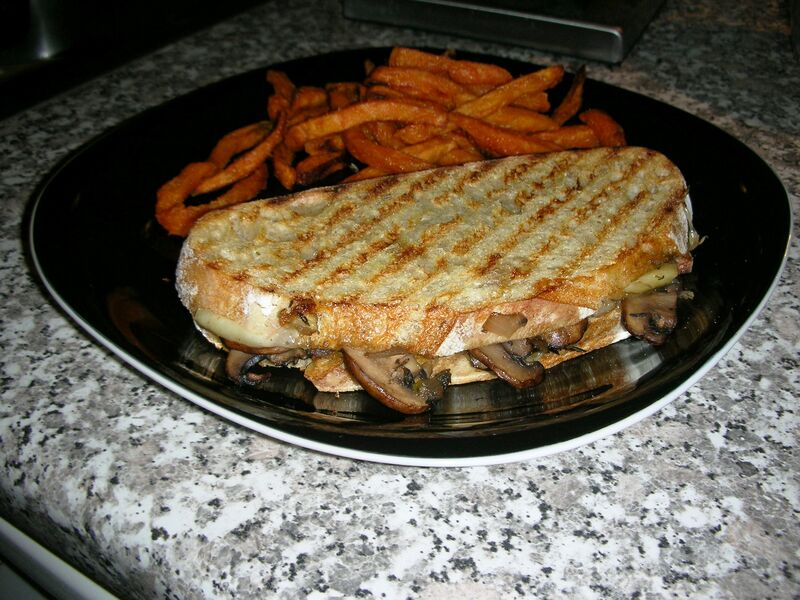 This sandwich was enjoyable and I’m looking forward to making it again!